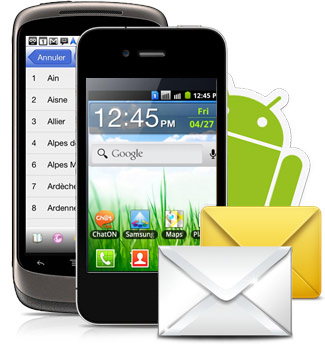 Order Android Mobile Text SMS Software for Mac to send bulk SMS as well as notifications. Software easily sends multiple text messages from Mac using Android technology based smart phones. Send group SMS, reminders, greetings or alerts to single or list of contact numbers. No internet connection is required to send SMS via software. Advanced delay delivery option to control and manage load of bulk SMS broadcasting. Provide option to skip duplicate number entry during message sending process.